Muthoni is a Partner in our Nairobi office and a member of the Real Estate and Construction department. 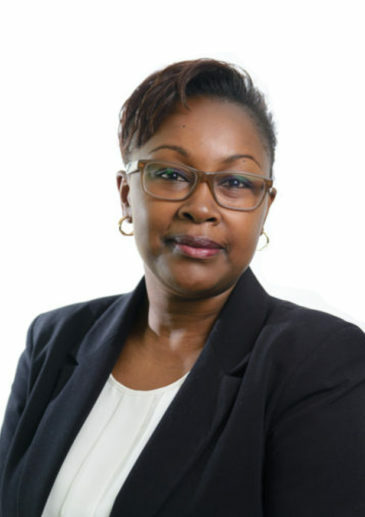 Muthoni specialises in securities, property & conveyancing and general corporate & commercial law. She also has experience in real estate financing and commercial leasing. She is an advocate of the High Court of Kenya and a member of the Law Society of Kenya. Muthoni holds a Bachelors Degree in Law (LLB) from the University of Nairobi and is a Certified Public Secretary. Acted for the leading telecommunications mobile service provider in the preparation and registration of telecommunications base station sites within the Republic of Kenya. Land Regulations – now is the time to start using the new land forms! Various Land Regulations – when should we start using the new prescribed forms?